1. 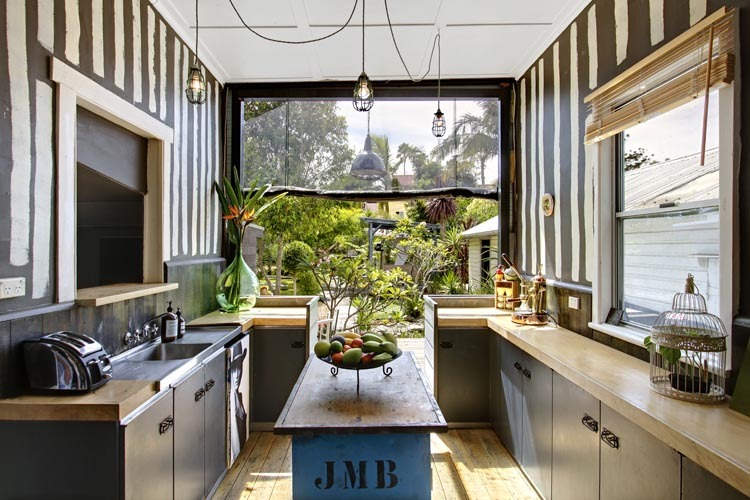 ARTIST STUDIO: This gorgeous self-contained cottage sleeps two people. It has a king-size bed, lounge area and spa retreat bathroom. It is a light-filled sophisticated cottage with huge vintage barn doors. 2. 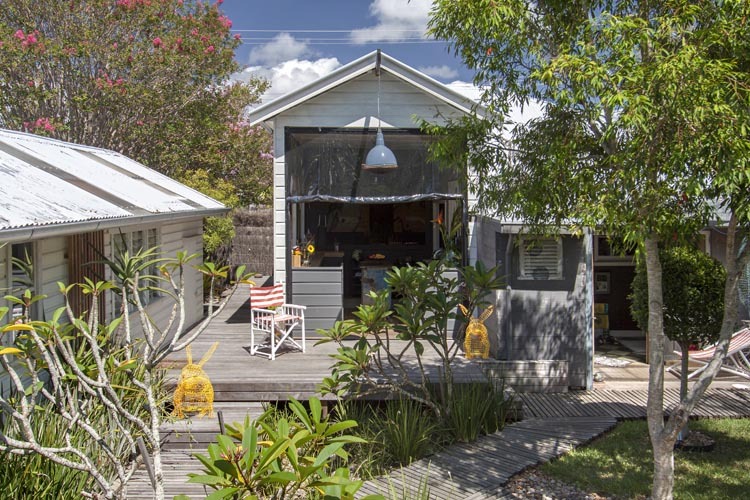 BOAT SHED: This self-contained cottage is filled with art and colour. 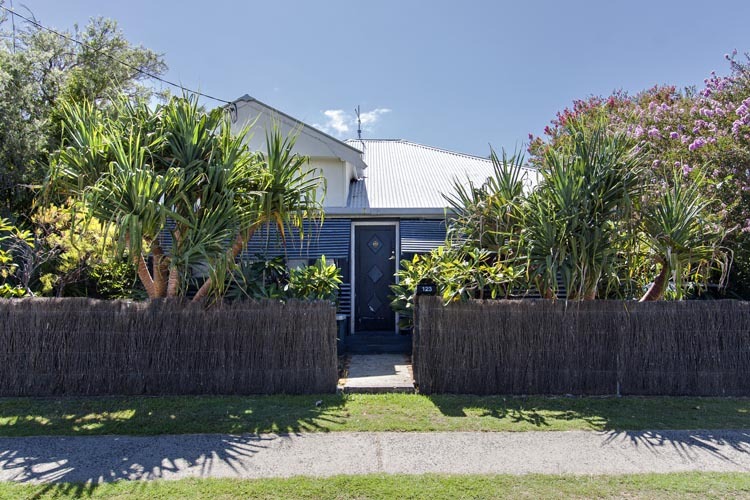 It is a vibrant fun space that is the epitome of Byron Bay style. 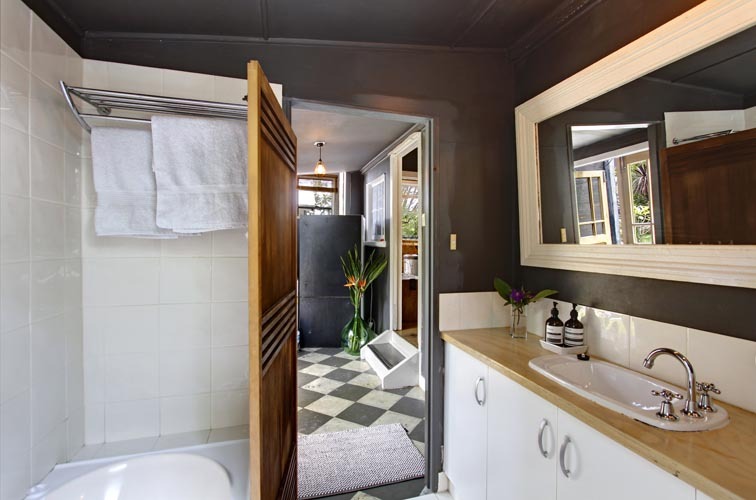 It has an indoor bathtub and shower, and an outdoor shower and bathroom area. it sleeps two. 3. 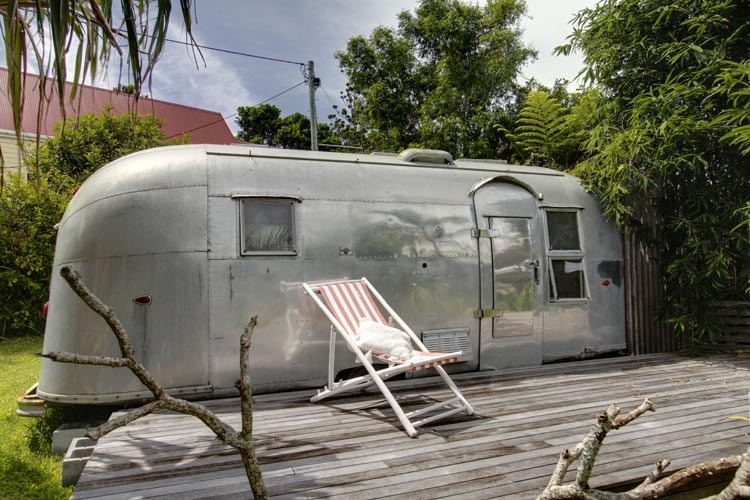 ARTIST HOUSE / COMPOUND: This includes everything on the property: Artist Studio, Boat Shed, 3-Bedroom Artist House, a vintage Airstream caravan, Swedish hot tub, wood-fired pizza oven, vegie garden and stunning tropical gardens. The whole compound sleeps thirteen people. Please Note: The Artist Studio and Boat Shed must be booked together. All wedding bookings are required to book accommodation for a two nights minimum. 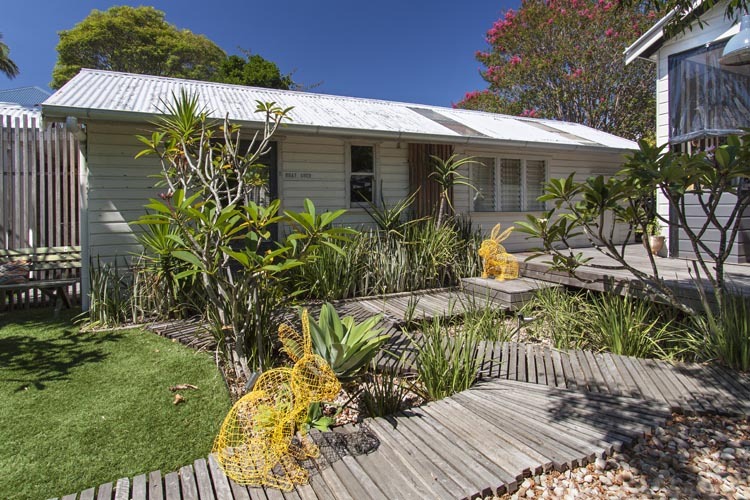 The property formerly owned by well known Australian artist David Bromley has loads of character, style and charm. 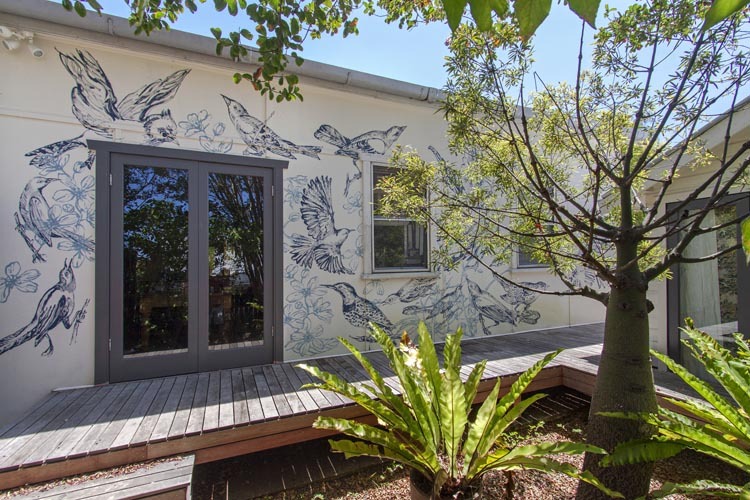 The original house has been transformed into work of art with hand painted walls, coloured glass doors as well as modern furnishings. 1. 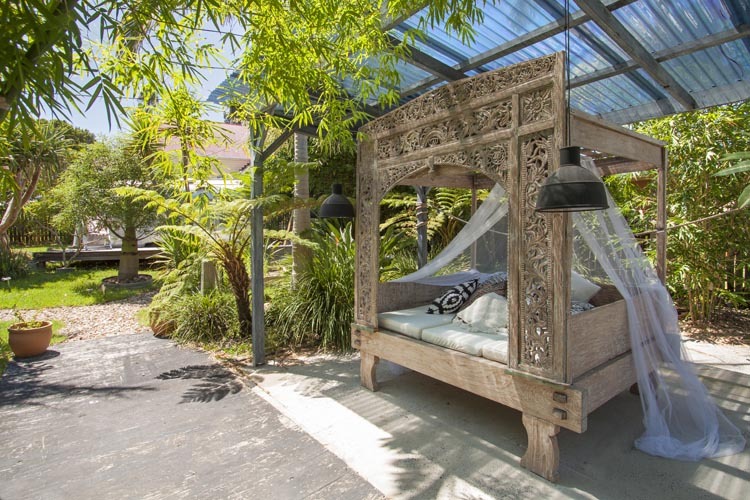 BEACH STUDIO: This gorgeous self-contained cottage sleeps two people. It has a king-size bed, lounge area and spa retreat bathroom. It is a light-filled sophisticated cottage with huge vintage barn doors. 2. 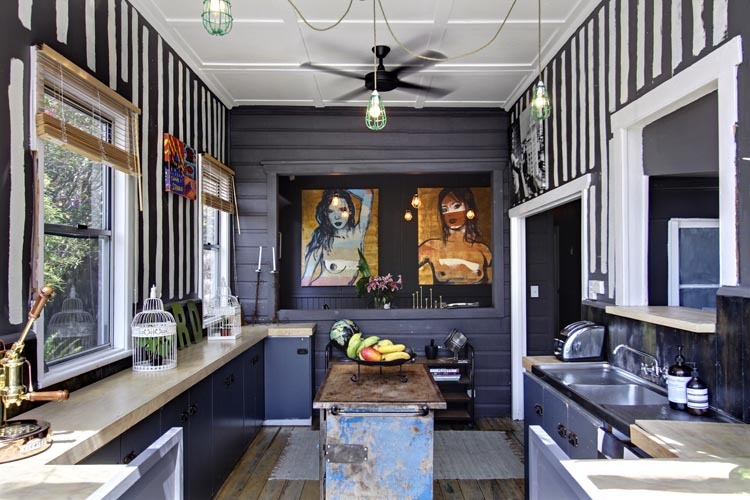 BOAT SHED: This self-contained cottage is filled with art and coloUr. 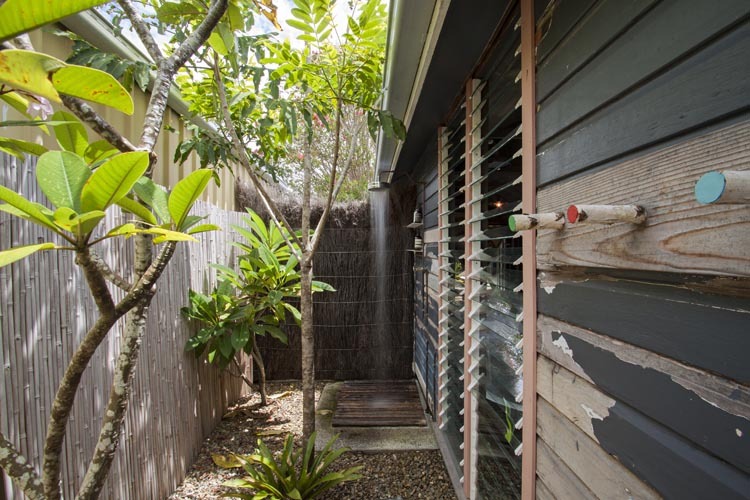 It is a vibrant fun space that is the epitome of Byron Bay style. 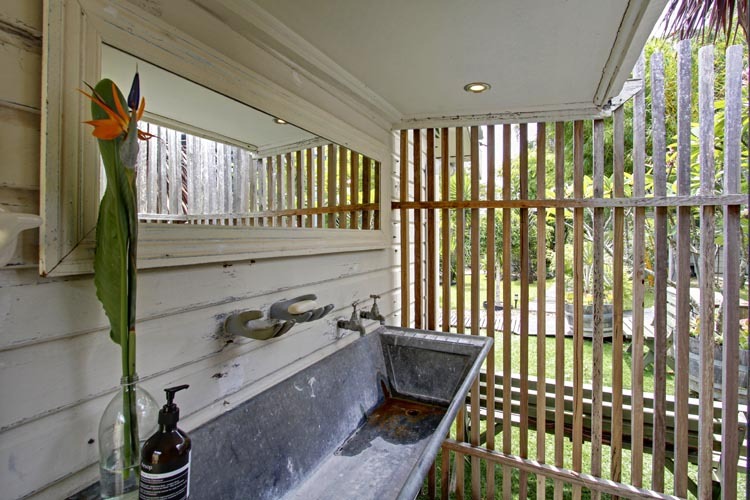 It has an indoor bathtub and shower, and an outdoor shower and bathroom area. it sleeps THREE.